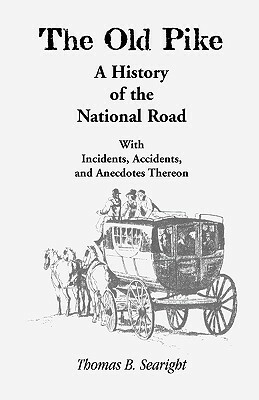 First published in 1988 by the New Hampshire Historical Society, and long since sought after, On the Road North of Boston is back in print. This richly illustrated, entertaining book is an invaluable resource for New Hampshire residents and students of the state's history alike. Nine extensively researched and meticulously prepared chapters depict historic taverns and tavern society of eighteenth- and nineteenth-century New England. Donna-Belle and James Garvin vividly reconstruct the physical landscape: the taverns themselves, the network of roads, travel conditions, traffic and commerce. They immerse the reader in the contemporary tavern atmosphere: encounters with fellow travelers, food, drink, entertainment, and hospitality in its earliest incarnations "on the road north of Boston." On the Road North of Boston contains rare and wonderful black-and-white illustrations of authentic tavern signs and furnishings, broadsides advertising tavern entertainments, early photographs and drawings of tavern buildings, road signs, vehicles, and bridges, portraits of tavern keepers, stage drivers, and itinerant performers. This book offers modern New England residents and travelers rich chronicles and visions of an age long past. Author: Donna-Belle Garvin, James L. Garvin. Description: A favorite regional history is back in print. DONNA-BELLE GARVIN is the editor of New Hampshire Historical Society’s journal Historical New Hampshire. She has co-authored and edited books and exhibition catalogues on New Hampshire history, including Jerald E. Brown’s The Years of the Life of Samuel Lane (UPNE, 2000). JAMES GARVIN has served as State Architectural Historian for the New Hampshire Division of Historical Resources since 1987. He is the author of the best-selling A Building History of Northern New England (UPNE, 2001).